You have many options for drainage in your brewery and meeting requirements can be difficult. 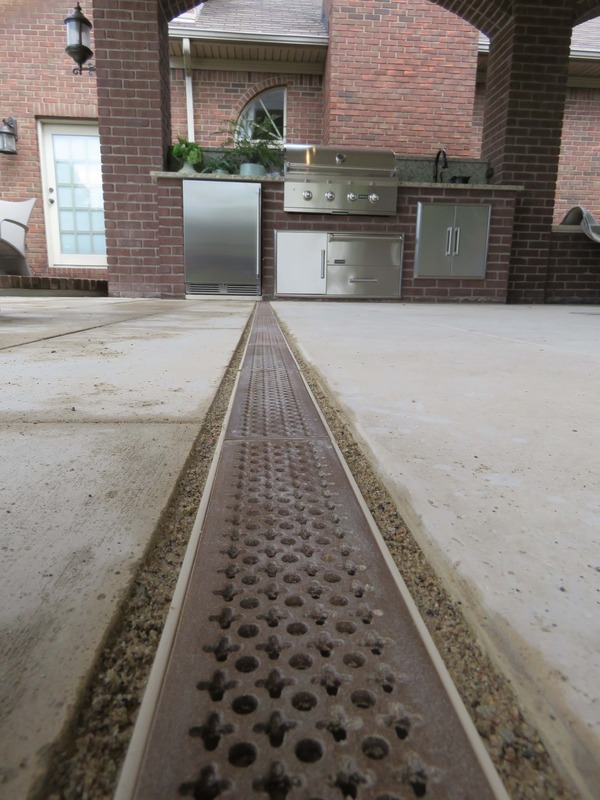 Temperature, chemicals and traffic going over the system are important factors to consider when choosing a trench drain. Breweries are one of the main applications that Trench Drain Systems works with. One of the systems we suggest using is made of vinyl ester due to the high pH levels of wastewater and high temps found in brewery drainage. Another option is using stainless steel trench drains. They are a perfect choice for a trench drain system in breweries because it is corrosion resistant, handle high temps, and heavy traffic with the appropriate covers. Trench Drain Systems is the leading supplier of drainage systems for distilleries, breweries and micro-breweries throughout the United States. 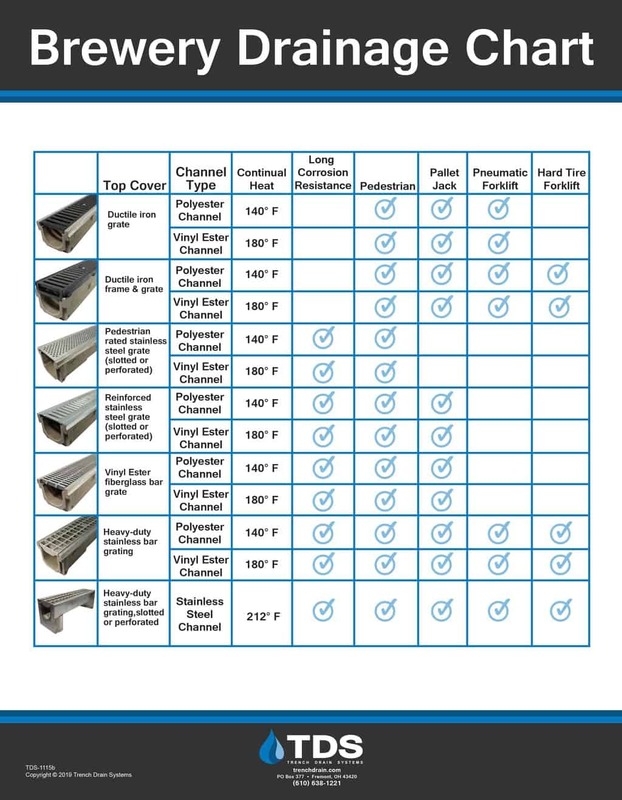 Check out the brewery drainage chart below to find your perfect system. Shop now or receive a fast quote or call our experts at 610-638-1221. Previous PostLet’s Raise a Glass for Polycast! 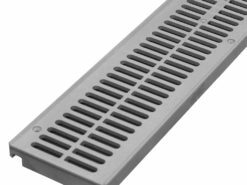 3″ Slotted Mini Channel Grates on Sale! !